It is often a Council requirement that impermeable areas (e.g. roof, driveway, etc.) created as part of a development are mitigated by providing detention (temporary storage) of stormwater runoff. This is particularly the case where there is no public reticulated stormwater network. In Auckland the Auckland Council Technical Publication TP108 provides engineers with a guideline to determine the required storage volumes. 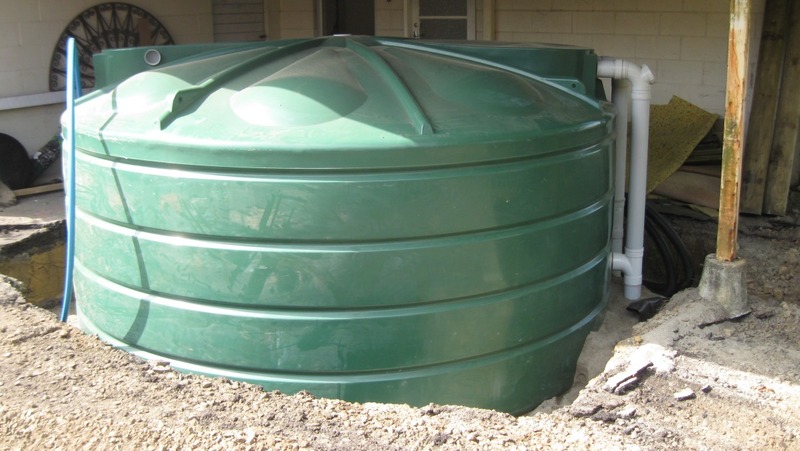 Stormwater detention tanks are an on-site stormwater disposal option that are designed to attenuate stormwater run-off from impermeable areas created through site development and are often the most feasible option on smaller sized sections. For larger rural sections other options for example detention ponds may be more suitable. We can provide an on-site stormwater disposal assessment and design of a new system or upgraded system for your site. By having an engineer carry out the design you can be assured of a design that will be adequate for its intended purpose and will meet council requirements. If you require a stormwater disposal assessment or you would like further information, please contact us. Septic tanks or effluent treatment plants are on-site effluent disposal systems that treat effluent from an individual building or group of buildings. It is often a council requirement that the design of an effluent disposal system be undertaken by an engineer. By having an engineer carry out the design, you can be assured of an independent design that will be adequate for its intended purpose and will meet council requirements. 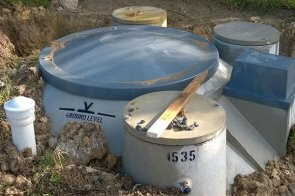 Conventional septic tank systems comprise a buried concrete tank into which the effluent from the house goes directly into. The effluent settles in the tank so that sludge forms at the base and scum floats to the surface. Bacteria work inside the tank to break down the solids in the effluent. An outlet in the tank allows the effluent to be siphoned from the central part of the tank and spread along soakage trenches in the ground. This is the traditional form of septic tank system that has been used for decades. This type of system, however, is now rarely used or accepted by local councils. This is because the septic tank only provides a low level of treatment. Most soils around Auckland are clayey and offer very pour soakage capacity. Consequently septic tank and soakage trench systems often fail or have a very limited effective lifetime. The aerated treatment plants are typically singular or dual tanks with different compartments for septic treatment (anaerobic bacteria) and aerated treatment by air blowers (for aerobic bacteria). Sand filter systems use a conventional septic tank followed by a bed of sand buried in the ground through which the effluent from the septic tank is circulated. Textile filters use a special textile cloth in a compartment within the treatment plant to provide filtration and aerobic treatment. The final effluent from these treatment plants are typically pumped through dripper lines onto or just below the ground surface where the effluent is then absorbed by the soil and taken up through plant roots (evapo-transpiration). We can provide an on-site effluent disposal assessment and design of a new system or upgraded system for your site. If you require an effluent disposal assessment or you would like further information, please contact us.